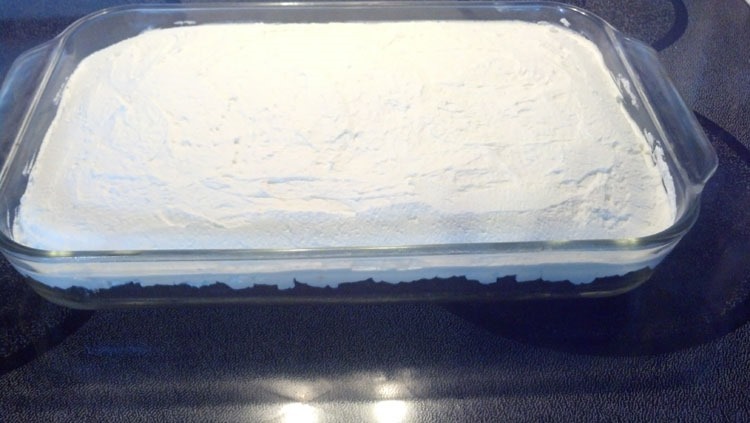 To ‘properly’ frost a 9×13 cake*: Using previously chilled metal bowl and beaters (freezer), mix 3 cups heavy whipping cream and 3/4 cup powdered sugar for about 5-7 minutes on medium/high – until the MAGIC happens … and it goes from (frothy) liquid to (stiff peak) FROSTING … That’s it! You now have Frosting Crack!!! Put it on whatever you want! Umm – I really don’t want to hear that ya’ll have known about this magical food [a should-be dietary STAPLE] all of your lives. While you don’t have to call me Annie – let’s just say that my routine exposure to good food started when I began cooking. (Canned peas and creamed corn still give me nightmares!) To this day, I remind DH just how lucky he is that I’m a decent cook … Who knew way back then??? 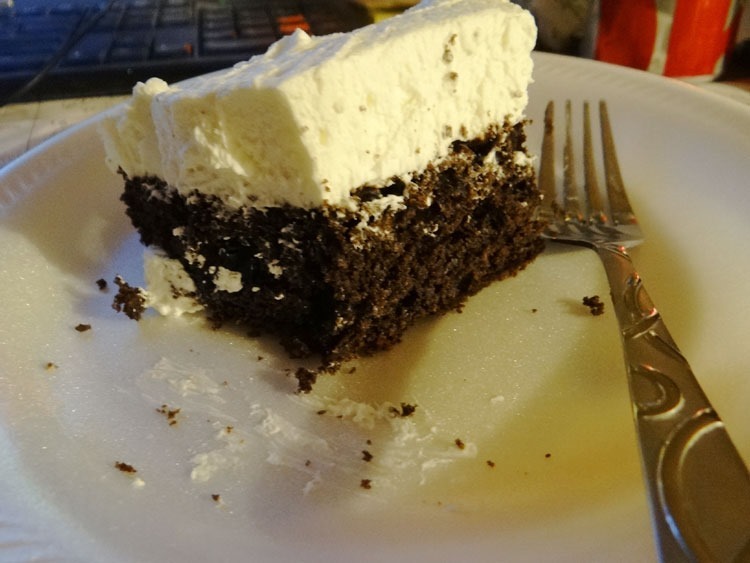 Anyway, after my early morning wake up for the DARN SANE meeting today yesterday, Frosting Crack is the perfect pick me up! And – the Fam gave it Two Thumbs (WAY) Up!